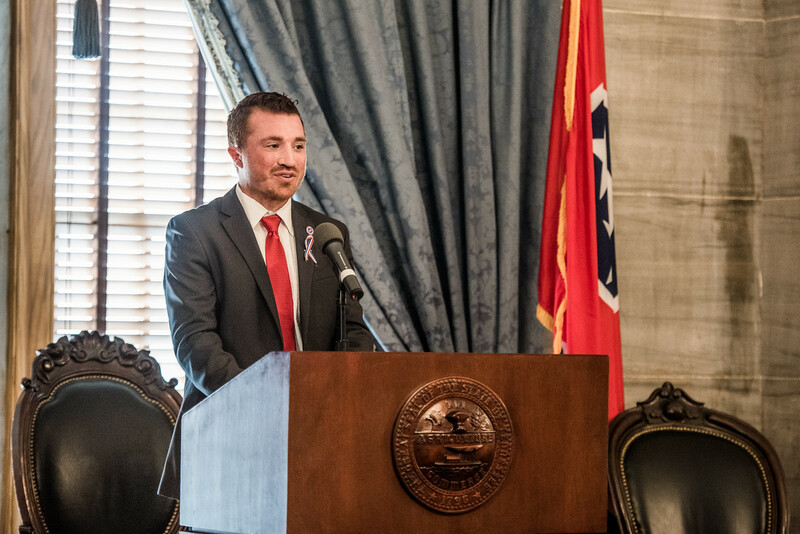 A ceremony was held Monday at the Tennessee State Capitol in honor of the official proclamation signed by Governor Bill Haslam declaring Feb. 21-27 as Tennessee’s Student Veterans Week. The ceremony began with two Belmont student veterans speaking about their transition from service member to student as well as the way Student Veterans of America (SVA) has aided in the transition and the importance of being supported by their university. 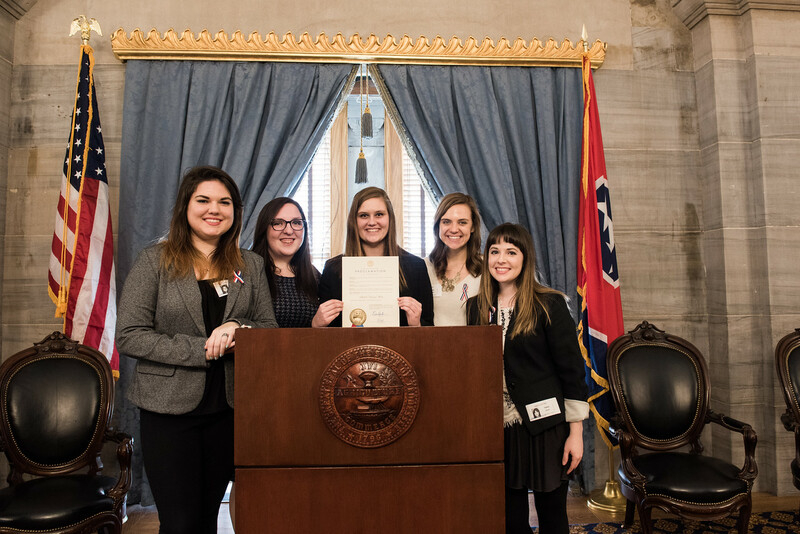 The proclamation is a product of the public relations campaign “Success, Value, Advocacy” by Red, White and Bruin, Belmont’s 2016 Bateman Team. The Bateman Case Study Competition is the Public Relations Student Society of America’s annual competition that challenges students across the nation to implement comprehensive public relations campaigns. This year’s client is SVA, a nonprofit coalition of student veterans groups on college campuses that provide peer-to-peer networks for student veterans. Red, White and Bruin is working with student veterans from Belmont, Lipscomb and Tennessee State Universities to increase awareness and support for SVA in the greater Nashville area. 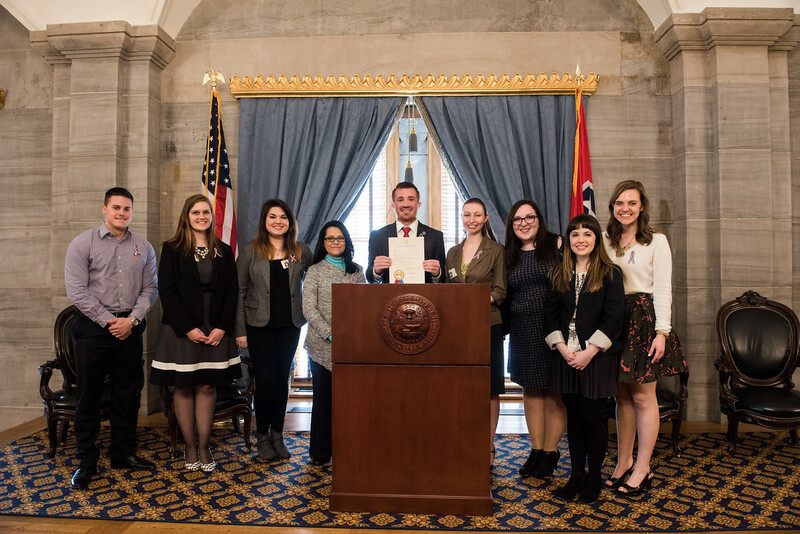 Yvette Martinez, assistant commissioner for Tennessee’s Department of Veterans Services, read the official proclamation, and Belmont student Savannah Beals sang the National Anthem. 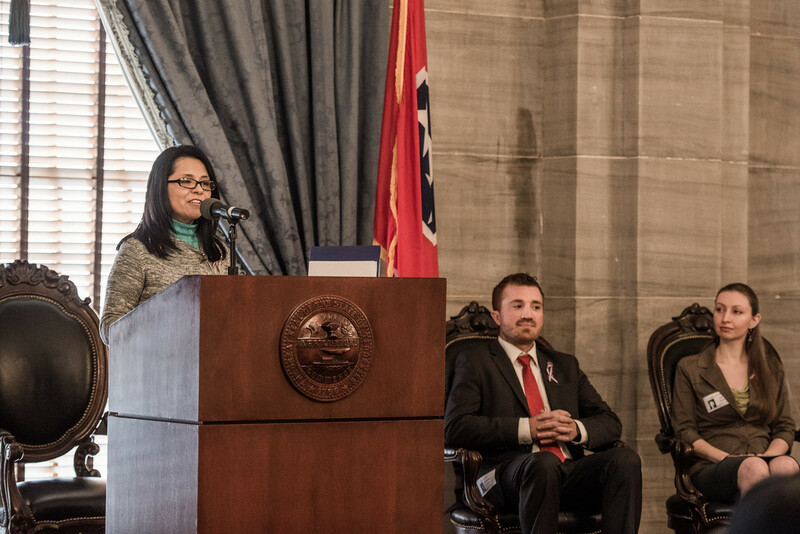 Martinez spoke on the initiatives put out by her own office, including partnering with schools in Nashville for a 200 percent increase in veteran higher education enrollment, totaling 13,400 students in 2015. In 2013, $236 million was given in federal education benefits, and that number grew by more than $30 million in a year. Belmont student veteran Erin Twohey spoke on the service member to student transition and the support she has felt from the community. She said she discovered Belmont when she began searching for business accredited Yellow Ribbon schools with a reputation for being military friendly. 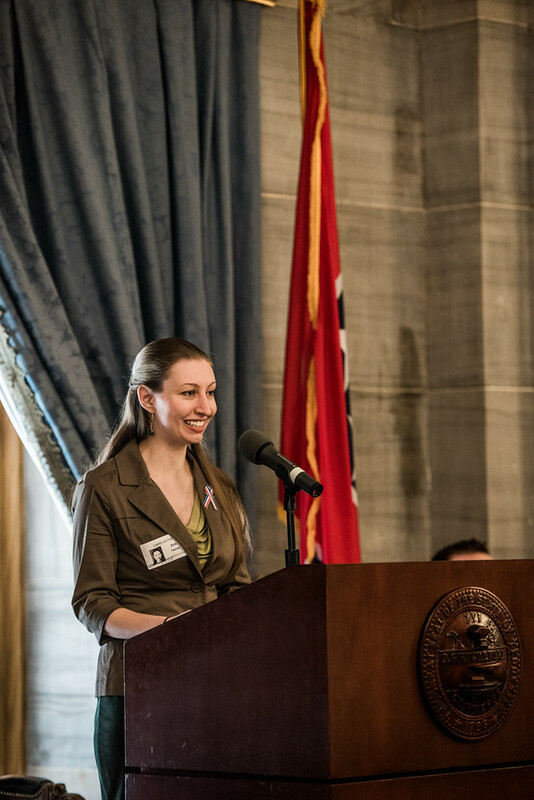 Senior public relations major and Bateman team member Haley Hall welcomed the attendees to the event by expressing the team’s personal investments in lives of student veterans. Belmont’s 2016 Bateman Team is comprised of sophomore Lindsey Barchent, senior Julia Couch, senior Haley Hall, senior Haley Hicks and senior Jessica Martin. For more information on SVA, click here.